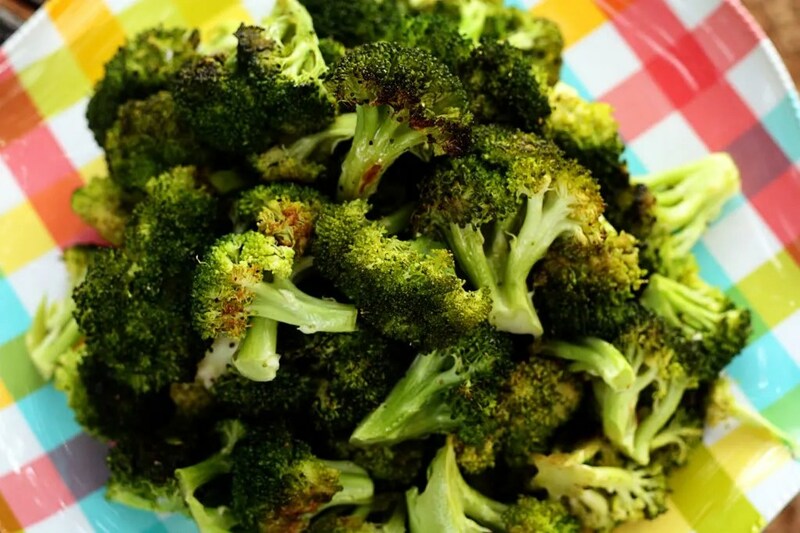 Place the broccoli florets on a large sheet pan so that they are in a single layer. 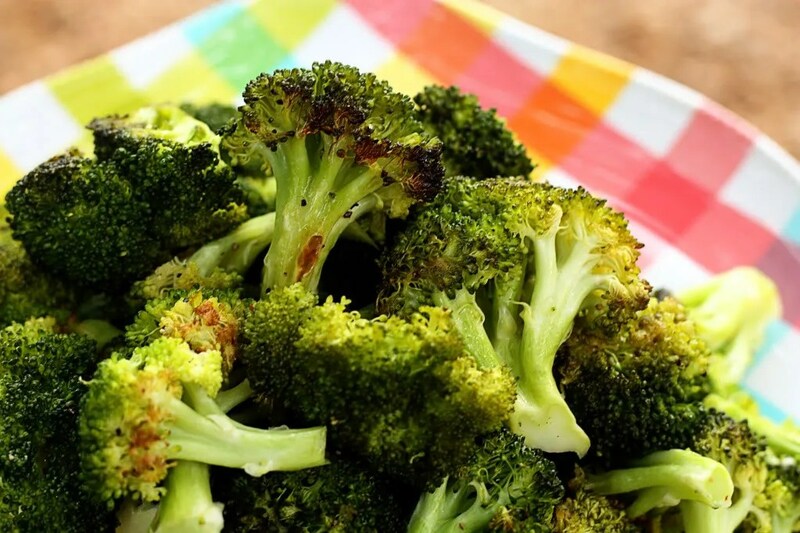 Toss the garlic on the broccoli and drizzle with 3 tablespoons olive oil. Sprinkle with the salt and pepper. Roast for 25 to 30 minutes, until lightly browned on the tips and crisp-tender. Remove from oven and immediately toss with lemon zest, lemon juice and Parmesan. Serve immediately.